With video games becoming the world’s number one entertainment form, many nations across the world have been unexpectedly thrust into the limelight as a result of the rapid developments of this growing industry. From Rockstar Games giving the English industrial city of Leeds a much-needed boost, to Yager’s gaming developments in Berlin, it’s clear that the burgeoning video game industry is able to work across borders in some interesting new environments. However, it’s Malta that has really reaped the benefits of the gaming revolution in recent years. Thanks to its fantastic geographical location, low living costs, and wonderful climate, it offers a tempting location for any video games developer with a taste for the exotic. Further to the multilingual workforce enabling games publishers an easy route to delivering quality products on a worldwide basis, Malta has also organised several gaming conferences that aim to stimulate this highly-profitable activity. 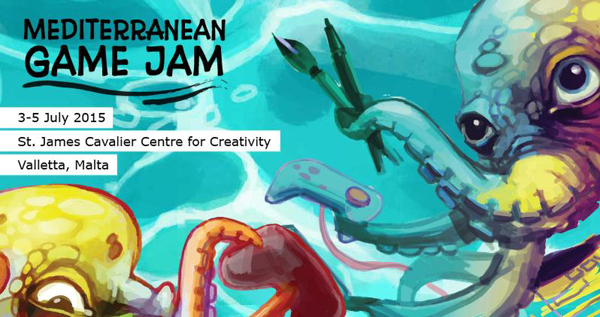 Key to this is the annual Malta Global Games Jam that took place this year for three days in January and drew over 25,000 people to take part in creating games in a fun and relaxed environment. The sessions also featured incisive talks from top industry figures, as well as a series of award ceremonies for the best-developed games. The Maltese government’s relaxed attitudes towards gambling legislation has also helped the country attract a wide range of companies looking to take advantage of the online casino boom. Sites such as aud.spinpalace.com have been able to provide a huge range of quality casino games to a much broader range of customers thanks to government-led initiatives that have included diminished tax rates and a lower license fee. Since 2004, Malta has undoubtedly enjoyed the benefits of becoming one of the top gaming jurisdictions in the world, with many companies flocking to Malta thanks to the country’s ability to provide a simple way to enjoy a range of gaming options remotely. This in turn has led to a much broader range of games developers coming to Malta to enjoy the synergistic possibilities enjoyed by the growing industry. In particular, the award-winning development studio Exient have had a hand in creating some highly profitable games such as Bake Escape and the firm’s range of Angry Birds spin-offs has done much to extend the shelf-life of this globally-popular brand. And with the recent news that top games developer 4A would be relocating to Malta, it’s a testament to how this magical place has offered the growing gaming industry a brand new place in the sun.